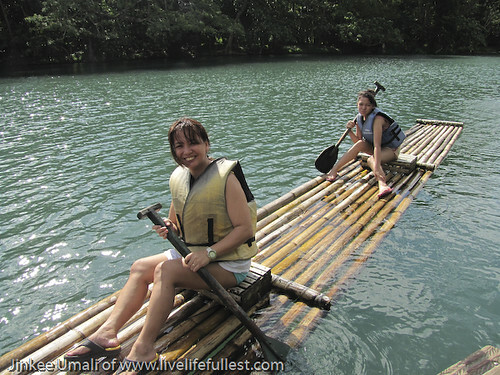 This is my second part series of our Family Get-Away at Villa Escudero. 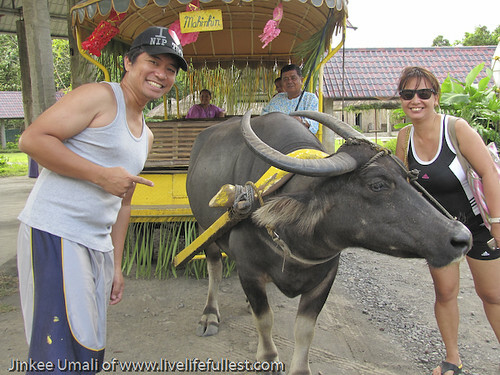 After our museum and park visit, now it is time for us to go to the swimming pool and the water falls thru a carabao ride. We were accompanied by folks singing Kundiman songs which I think my kids only hear during their Linggo ng Wika school activities. 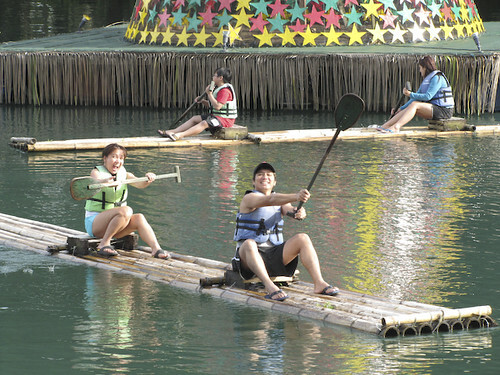 First stop were the swimming pool and lake water rafting. We were instructed that the lunch and the man-made water falls will be opened by 11:00 am. 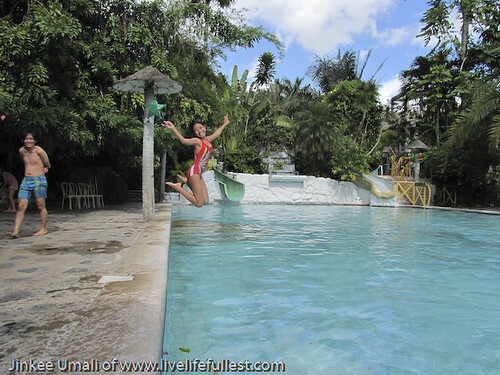 There were three pools available – two adult pool and a kiddie pool. The bench and tables were already available. 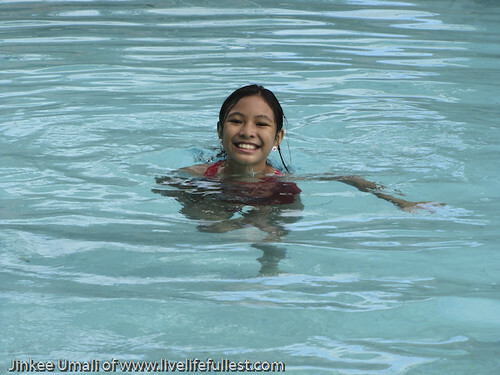 Unlike with other resorts, you have to pay additional amount. 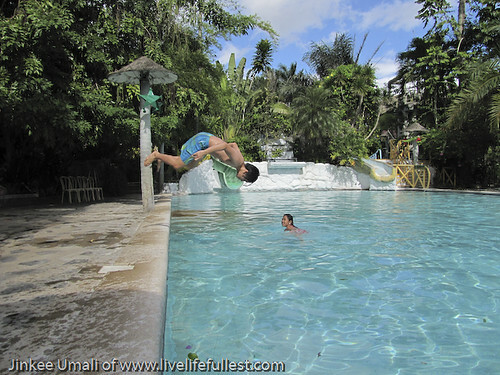 Did I say that my kids enjoyed their swimming escapade as they jumped and even got these stunts? Actually, these were not allowed. They were instructed not to do it again. I know this is a vacation. But I cannot help myself to be online. As I told you in my first post, still have work to do. I just escape actually. 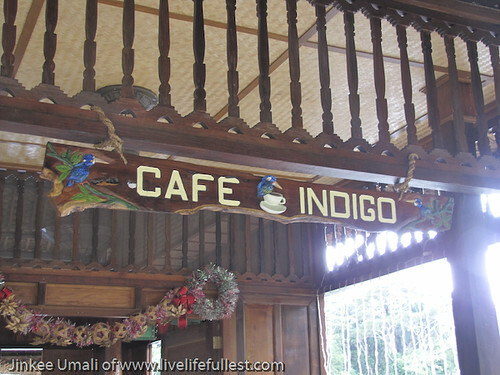 Well anyway, bringing my netnote with me, beside the pool and the lake, I just found Cafe Indigo. You know me, I love coffee! 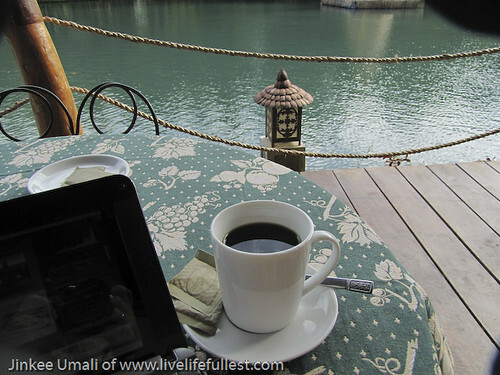 Especially if you will take your coffee beside the scenery lake like this, I can resist to have one. Cost of coffee I think is P 55.00. Really huge serving in a big mug. For me, this is some sort of breather. If they will allow me, I can go here just to have a coffee. With this kind of back draft, i will really come. Just also a reminder, my sun broad band did not work and sun signal was weak. Still, my globe and smart signal were working great! 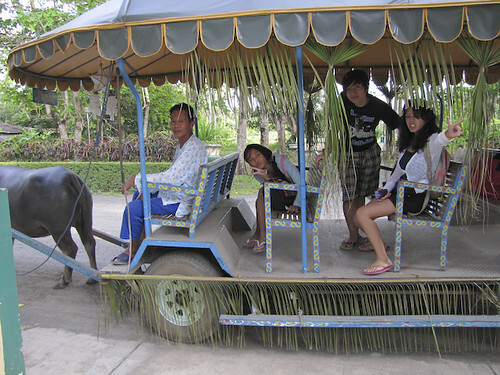 That’s ok, now I can concentrate to our family vacation! We were heading now to row at the lake. First, I was bit scared. Funny feeling, what if I will be drowned even they got this life vest with me? 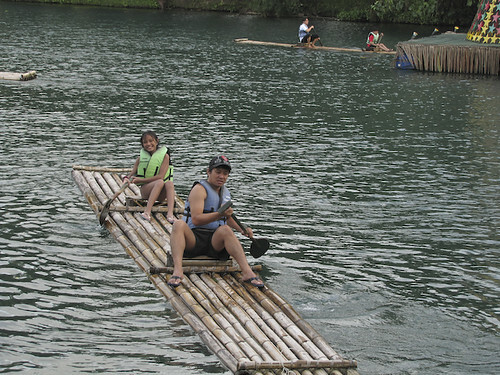 But when hubby and kids were already in the middle of the lake rowing and enjoying, I was encourage to join them. 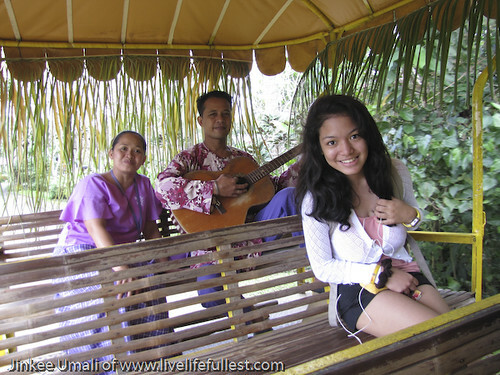 Hubby was very accommodating to be with us – an exercise rather than sitting nor watching us. 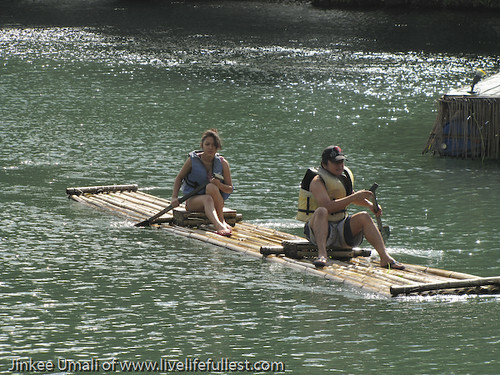 My family must have this kind of activity for them to enjoy the whole vacation or else it would be very boring for them. There you have it. Now we are reallyready for lunch as were all starving. This is my two-part series blog post. 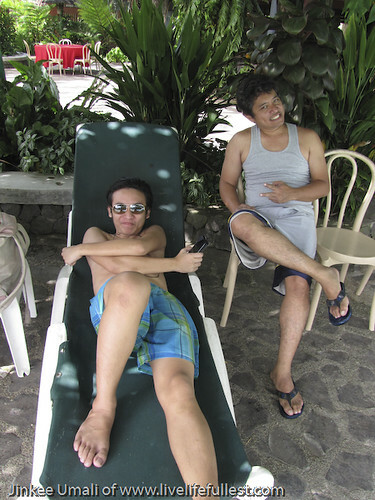 Next,, i will be sharing our escapade with the food and the man-made waterfalls.